Super Audits offer SMSF auditing services specifically to accountants, financial planners, administrators, that are required by law to have their superannuation funds audited by an independent approved auditor. 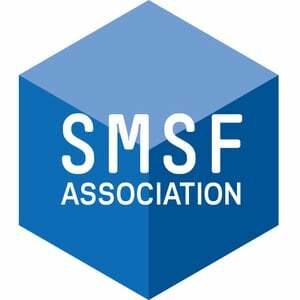 We have a team of professional and approved SMSF auditors. Although we audit many large companies and not for profit sporting organisations, we have tailored our services to specialise in superannuation audits. We recognise the needs of accountants, financial planners, and administrators, to have efficient and timely statutory auditing services at an affordable price. See our SMSF Auditors individualised pages for Accountants, Financial Planners and Administrators for more details on our specialised services. We also provide Company Audits by a registered Company Auditor. We are well versed in the Corporations Act pertaining to Company Audits and provide independent services to companies required to undertake audits to comply with this act. See our Registered Company Audits page for more information. Completing the Get Quote form or email us at tony.boys32@gmail.com will enable one of our team members to respond to you in less than 24 hours advising you of the cost. Most simple audits will be less than $300.00 and completed within 5 working days. Super Audits has the facilities to accept all electronic documentation required for audit evidence and will assist clients throughout the audit preparation process. In addition to our auditing services, existing clients also receive free technical support in relation to SIS Act compliance requirements. Looking for self-managed super fund (SMSF) auditors? Contact us to get expert superannuation audit services in Australia. We cater to clients in Sydney, Melbourne, Perth, Brisbane, Adelaide and nationwide across Australia. Contact us today to get a free quote.